Draft: 2009, Cincinnati Reds, CAth rd. Full name is Bradley George Boxberger…resides in Paradise Valley, Ariz., with his wife, Anna, and children Ava Marie and Braxton Matthew... A 2006 graduate of Foothill High School in Tustin, Calif….named California Interscholastic Federation (CIF) Division II Player of the Year and Orange County Player of the Year by the Los Angeles Times and Orange County Register as a senior…went 12-0 with a 1.17 ERA during his final high school campaign…had his uniform No. 22 retired by the school in 2016...Originally selected by Kansas City in the 20th round of the 2006 First-Year Player Draft, but did not sign...Pitched collegiately at the University of Southern California…earned All-Pac 10 honors as a junior and was named a Rivals.com Freshman All-American...Featured in the Rays' 2017 'Players & Pooches' calendar, along with his French bulldog, Ralph…the calendar benefitted the Pet Pal Animal Shelter in St. Petersburg, Fla...Father, Rod, was a first-round selection (11th overall) by the Houston Astros in 1978…played five seasons in the Astros, Yankees and Angels' minor league systems… also pitched at USC, where he was named MVP of the 1978 College World Series, leading the Trojans to a national championship. Registered 32 saves in his only season with Arizona, going 3-7 with a 4.39 ERA (26 ER in 53.1 IP) and 71 strikeouts (11.89 K/9)…his save total ranked fourth in the National League, while his strikeout rate was 10th among NL relievers (min. 150 batters faced)...Was one of five pitchers in the Majors with 30+ saves and a strikeout rate of at least 11.5, joining Boston's Craig Kimbrel, San Diego/Cleveland's Brad Hand, Seattle's Edwin Diaz and the Yankees' Aroldis Chapman...Went 32-for-40 in save opportunities (80.0 percent), which tied for 10th in the NL…held the opposition to a .225 average (31-for-138) in his 40 appearances with a save on the line...His save on March 30 vs. Colorado was his first since Oct. 1, 2015 (with Tampa Bay)...Did not allow a run over his first seven appearances, extending his scoreless streak from the previous season to 14.0 consecutive innings (Sept. 9, 2017-April 13)...Over his first 22 appearances, posted a 1.77 ERA (4 ER in 20.1 IP) and was 13-for-14 in save opportunities… pitched to a 7.71 ERA (8 ER in 9.1 IP) in the month of June, which included three blown saves, before posting a 3.06 ERA (6 ER in 17.2 IP) and going 12-for-14 in save chances in July and August...Fanned all three batters he faced in an appearance twice: July 13 at Atlanta and July 24 at the Cubs…he's accomplished this 10 times in his career, including Aug. 13, 2017 vs. Cleveland when he struck out all four batters he faced over 1.1 innings. Was limited to 30 games due to a strained right flexor muscle, going 4-4 with a 3.38 ERA and 40 strikeouts ... Averaged 12.27 strikeouts-per-9.0 IP, up from 8.14 in 2016 and second highest in his career (14.47 in 2014) ... Opponents hit .215 and .103 (3-for-29) with runners in scoring position ... Began the season on the disabled list and was reinstated on June 29… made 8 rehab appearances with Single-A Charlotte and Triple-A Durham. Made only 27 apps in an injury-plagued sea-son, just one year removed from being named an American League All-Star and leading the AL with 41 saves…endured two trips to the DL, costing him a total of 99 games …pitched in only one game over the first four months of the season. Became the first to not record a save the year after leading the AL in saves since TOR Duane Ward in 1993. Underwent surgery on March 17 to repair the adductor brevis muscle in the groin area…Dr. William Meyers performed the procedure in Philadelphia…began the year on the DL and was reinstated May 30 …the next day in Kansas City, made his season debut but exited the game due to a left oblique injury after 0.2 IP, 17 pitches and a 2-run homer to Kendrys Morales…placed on the DL on June 1 and reinstated July 29. After returning from his second DL stint, made 11 consecutive scoreless apps spanning 11 in-nings from July 31-Aug 26…posted a 7.82 ERA (12.2-IP, 11-ER) over his final 15 apps. Yielded 19 BB in 24.1 IP, compiling ratios of 7.03 BB/9 IP, 1.16 SO/BB and 1.73 WHIP. Earned 4 wins, 2nd among Rays relievers af-ter Erasmo Ramirez (6)…the first came Aug 4 vs. KC and ended his 7-game losing streak, one shy of the club record for a reliever (Dan Wheeler, 2007). On Sep 20 vs. NYY, yielded a career-high-tying 4 runs (3rd time, last Sep 14, 2015 vs. NYY) and 4 hits, his most since June 2, 2013 vs. TOR (5, with SD)…in the season finale on Oct 2 at TEX, issued a career-high 4 BB. Made a total of 11 rehab apps between Class-A Charlotte, Triple-A Durham and Double-A Montgomery. In his second season with the Rays and first full year in the majors, was named to his first All-Star Team and led the American League with 41 saves…joined Rafael Soriano (45 in 2010) as the only Rays pitchers to lead the league in saves…it was the fifth 40-save season in Rays history (see chart)…became the Rays 10th different save leader in the last 11 seasons. Ê His 10 losses in relief led the majors and tied for the most by any relief pitcher in the last 10 seasons (2006-15)…also set a club record for relief losses (prev. 8, last by Joel Peralta in 2013)…the only pitcher to ever match his combination of at least 10 losses and 41 saves was COL Jose Jimenez in 2002 (10-L, 41-SV)… Ê According to Baseball Reference, 236 of his 271 batters faced (87.1 pct.) came in "Late & Close" situations-in the 7th inning or later with the batting team tied, ahead by one or the tying run on deck…this ranked 3rd in the majors behind teammate Jake McGee (91.8 pct.) and ATL Jason Grilli (89.3)…the last major league pitcher to face as many batters as Boxberger with a rate that high was LAA Francisco Rodriguez in 2008 (91.3 pct.). Yielded 32 BB, tied for 5th most among AL relievers…yielded 9 HR for a second straight season…only one AL reliever has allowed more homers than Boxberger (18) over the past two seasons: TEX Shawn Tolleson (19). Converted his first 15 save chances, one shy of the club record to start the season (Rafael Soriano in 2010, Al Reyes in 2007)…had his first blown save June 3 at LAA on a game-tying sac fly by Erick Aybar…Rays won 6-5 in 10 innings. The Rays bullpen's 60 saves were most ever by a team with a losing record…Boxberger recorded only 16 of their first 30 saves, but had 25 of their last 30 (from June 19 through season's end)…recorded a save in each of his last 7 appearances. Twice saved all 3 wins of a 3-game sweep: July 10-12 vs. HOU and Sep 29-Oct 1 vs. MIA… the only other Rays to do that were J.P. Howell (July 17-19, 2009 at KC), Troy Percival (April 22- 24, 2008 vs. TOR) and Danys Baez (Aug 19-21, 2005 vs. TEX). Ê Absorbed a club-record 6 walk-off losses, most in the majors since PHI Brad Lidge in 2009 (6)…others who have suffered 6 or more walkoff losses in an All-Star campaign include NYY Goose Gossage (6 in 1978) and NYY Sparky Lyle (6 in 1973)…5 of those walk-off losses came in a stretch of 9 road apps, July 4- Aug 18…the full list: April 10 at MIA, July 4 at NYY, July 7 at KC (G1), July 22 at PHI, Aug 5 at CWS and Aug 18 at HOU. Made 11 scoreless apps vs. Boston, equaling the most in major league history in a season…joined TB Grant Balfour (2014), TOR Scott Schoeneweis (2005) and BAL Buddy Groom (2001)…in his career, is 2-0 with 6 saves and a 0.48 ERA (18.2-IP, 7-H, 1-R/ER, 10-BB, 31-SO) in 17 apps vs. the Red Sox…on Aug 2 at BOS, struck out the side to close out a 4-3 win, becoming the sixth visiting reliever since 1969 to earn a save at Fenway Park by entering the game with his team holding a one-run lead, pitching at least one inning, and striking out every batter faced (Elias Sports Bureau). Five of his last 6 apps were hitless and scoreless. Turned in one of the best seasons in Rays history by a reliever despite spending most of April with Triple-A Durham...ranked 4th among major league relievers and set a club relief record with 104 SO, breaking J.P. Howell's mark of 92 (2008)...went 5-2 with 2 saves and a 2.37 ERA (64.2-IP, 17-ER) in 63 games...Struck out 104 of his 247 batters faced (42.1 pct. ), a club record and the highest rate in AL history by a right-handed reliever...his 14.47 SO/9 IP were a club record, topping Grant Balfour's 12.65 mark in 2008, and ranked 3rd in the majors after CIN Aroldis Chapman (17.67) and BOS/BAL Andrew Miller (14.87)...Held opponents to a .155 (34-for-219) avg., 4th lowest among AL relievers Held opposing lefty hitters to a .107 (11-for-103) avg., best in the majors (min. 100 AB)...it was the 3rd-best mark by a right-handed reliever since 1974, when records were first available (see chart)...compiled streaks of 0-for-43 (May 20-Aug 8) and 1-for-59 (May 20-Aug 21) vs. lefties...Allowed 9 HR, tied with teammate Joel Peralta for 4th most among AL relievers...13 of his 17 runs allowed scored via home run...On May 8 vs. BAL, replaced David Price with no outs and the bases loaded in the 6th, and struck out the side on 9 pitches...according to the Elias Sports Bureau, he became the first reliever to enter with the bases loaded and strike out his first 3 batters faced in that same inning since TOR Jesse Carlson on April 16, 2008 vs. TEX...Earned his first save as a Ray on July 2 at NYY with a perfect 9th inning and 2 SO...on Aug 24 at TOR, pitched the 10th inning to preserve a 2-1 win and overcame a two-on, no-out jam...Suffered 3 blown saves...on May 15 at LAA, replaced Grant Balfour with 2 runners on and allowed a walk-off, 3-run homer to Mike Trout...the others occurred on Aug 8 at CHC and Aug 23 at TOR...Earned his first career victory June 30 at NYY...threw perfect 11th and 12th innings...Tallied 18 SO in Durham, giving him a total of 122 SO in 74 IP between the majors and minors...began the season in Durham's bullpen...made 4 scoreless apps over two major league stints (April 14-18, May 1) before he was called up for good May 5. Posted a 2.86 ERA (22-IP, 7-ER, 24-SO) in 18 games for San Diego over five stints in the majors, but spent the majority of the season with Triple-A Tucson (Padres)... Limited left-handed hitters to a .182 (6-for-33) avg. while righthanders hit .302 (13-for-43)... Over his final 15 appearances, had a 2.08 ERA (17.1-IP, 4-ER)... Earned his first save on June 6 at COL, closing out a 6-5, 12-inning game by retiring Nolan Arenado, Carlos Gonzalez and Michael Cuddyer... Was 2-4 with 5 saves and a 3.61 ERA (57.1-IP, 23-ER, 89-SO) in 42 relief apps for Tucson…averaged 13.97 SO per 9 IP, the best strikeout rate in the Pacific Coast League (min. 50 IP)... Entered 2013 rated by Baseball America as the 11th-best relief pitching prospect in the game. In his first season with the Padres organization, made 37 relief appearance for Triple-A Tucson while also seeing his first Major League action with 24 outings for San Diego.Selected from Triple-A Tucson on 6/10 and made his Major Leaguedebut for the Padres that day at MIL, working a scoreless inning. Held right-handed hitters to a .208 (11-for-53) average whileholding lefties to a .239 (11-for-46) average for San Diego.Posted a 1.45 ERA (1 ER/6.1 IP) with eight strikeouts againstseven walks in his first five career outings before being optioned back to Tucson on 6/26.Recalled for his second stint on 7/30 and posted a 5.00ERA (5ER/9.0 IP) with 12 strikeouts against six walks overeight outings before being optioned back to Tucson on 8/22.Recalled the next day on 8/23 and optioned back to Tucson on 8/26 without making an appearance.Recalled for his fourth and final time on 9/4, posting a 1.46 ERA(2 ER/12.1 Ip) and 13 strikeouts against five walksover his final 11 outings for the Padres.Recorded 33 strikeouts against 18 walks in his 24 games overall, posting 10.7 strikeouts per 9.0 IP and a .222(22-for-99) opponent batting average.In 37 relief outings for Tucson, went 2-2 with five saves, a 2.70 ERA(13 ER/43.1 IP) and 62 strikeouts against 19walks and just 37 hits allowed, no home runs. Split his season between Double-A Carolina and Triple-A Louisville, combining to post a 2-3 record with 11 saves and a 2.03 ERA (14 ER/62.0 IP) in 55 relief outings...Averaged 14.9 strikeouts per 9.0 IP during his 30 games with Carolina (57 strikeouts in 34.1 IP). Spent his first full professional season between Single-A Lynchburg and Double-A Carolina, going 5-10 with a 4.91 ERA (50 ER/91.2 IP)...Ranked by Baseball America as the ninth-best prospect in the Reds organization entering the season...also rated as having the best fastball in the system. Inbox: Will Bubba, Zimmer make KC's roster? February 7, 2019 Kansas City Royals signed free agent RHP Brad Boxberger. 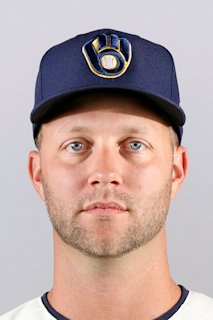 November 30, 2018 RHP Brad Boxberger elected free agency. November 30, 2017 Arizona Diamondbacks traded RHP Curtis Taylor to Tampa Bay Rays for RHP Brad Boxberger. November 30, 2017 Arizona Diamondbacks activated RHP Brad Boxberger. June 29, 2017 Tampa Bay Rays activated RHP Brad Boxberger from the 60-day disabled list. June 27, 2017 Tampa Bay Rays sent RHP Brad Boxberger on a rehab assignment to Charlotte Stone Crabs. June 14, 2017 Tampa Bay Rays sent RHP Brad Boxberger on a rehab assignment to Durham Bulls. June 4, 2017 Tampa Bay Rays sent RHP Brad Boxberger on a rehab assignment to Charlotte Stone Crabs. April 14, 2017 Tampa Bay Rays transferred RHP Brad Boxberger from the 10-day disabled list to the 60-day disabled list. Right Flexor Strain. April 1, 2017 Tampa Bay Rays placed RHP Brad Boxberger on the 10-day disabled list. Right Flexor Strain. July 29, 2016 Tampa Bay Rays activated RHP Brad Boxberger from the 15-day disabled list. July 18, 2016 Tampa Bay Rays sent RHP Brad Boxberger on a rehab assignment to Charlotte Stone Crabs. May 30, 2016 Tampa Bay Rays activated RHP Brad Boxberger from the 15-day disabled list. May 25, 2016 Tampa Bay Rays sent RHP Brad Boxberger on a rehab assignment to Montgomery Biscuits. May 21, 2016 Tampa Bay Rays sent RHP Brad Boxberger on a rehab assignment to Durham Bulls. May 15, 2016 Tampa Bay Rays sent RHP Brad Boxberger on a rehab assignment to Charlotte Stone Crabs. May 6, 2014 Tampa Bay Rays recalled RHP Brad Boxberger from Durham Bulls. May 2, 2014 Tampa Bay Rays optioned RHP Brad Boxberger to Durham Bulls. May 1, 2014 Tampa Bay Rays recalled Brad Boxberger from Durham Bulls. April 19, 2014 Tampa Bay Rays optioned RHP Brad Boxberger to Durham Bulls. April 14, 2014 Tampa Bay Rays recalled Brad Boxberger from Durham Bulls. March 20, 2014 Tampa Bay Rays optioned RHP Brad Boxberger to Durham Bulls. September 3, 2013 San Diego Padres recalled Brad Boxberger from Tucson Padres. August 28, 2013 San Diego Padres optioned Brad Boxberger to Tucson Padres. August 19, 2013 San Diego Padres recalled Brad Boxberger from Tucson Padres. June 23, 2013 San Diego Padres optioned Brad Boxberger to Tucson Padres. June 22, 2013 San Diego Padres recalled Brad Boxberger from Tucson Padres. June 8, 2013 San Diego Padres optioned Brad Boxberger to Tucson Padres. June 2, 2013 San Diego Padres recalled Brad Boxberger from Tucson Padres. May 11, 2013 San Diego Padres optioned Brad Boxberger to Tucson Padres. May 2, 2013 San Diego Padres recalled Brad Boxberger from Tucson Padres. March 23, 2013 San Diego Padres optioned Brad Boxberger to Tucson Padres. September 4, 2012 San Diego Padres recalled Brad Boxberger from Tucson Padres. August 27, 2012 San Diego Padres optioned Brad Boxberger to Tucson Padres. August 23, 2012 San Diego Padres recalled Brad Boxberger from Tucson Padres. August 22, 2012 San Diego Padres optioned Brad Boxberger to Tucson Padres. July 30, 2012 San Diego Padres recalled Brad Boxberger from Tucson Padres. June 26, 2012 San Diego Padres optioned Brad Boxberger to Tucson Padres. June 10, 2012 San Diego Padres selected the contract of Brad Boxberger from Tucson Padres. December 21, 2011 San Diego Padres invited non-roster RHP Brad Boxberger to spring training. December 17, 2011 Louisville Bats traded RHP Brad Boxberger to Tucson Padres. June 28, 2011 Brad Boxberger assigned to Louisville Bats from Carolina Mudcats. March 23, 2011 RHP Brad Boxberger assigned to Cincinnati Reds. June 24, 2010 Brad Boxberger assigned to Carolina Mudcats from Lynchburg Hillcats. April 5, 2010 Brad Boxberger assigned to Lynchburg Hillcats. October 12, 2009 RHP Brad Boxberger assigned to Peoria Saguaros. October 10, 2009 RHP Brad Boxberger assigned to Cincinnati Reds.